Florence Nightingale (1820 – 1910) Volunteered to nurse soldiers during the Crimean War. Nightingale’s analysis of mortality rates helped to improve hospital practices. She also helped improve the standard and prestige of the nursing profession. She is considered to be the founder of modern nursing. Born in 1820 to a wealthy family, Florence was educated at home by her father. She aspired to serve others, in particular, she wanted to become a nurse. Her parents were opposed to her aspirations – at that time, nursing was not seen as an attractive or ‘respectable’ profession. Despite her parents’ disapproval, Florence went ahead and trained to be a nurse. Florence later wrote that she felt suffocated by the vanities and social expectations of her upbringing. On one occasion, sitting in her parent’s garden, she felt a call from God to serve others. She resolved to try and follow God’s will in being of service to others. 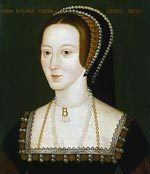 Florence had the opportunity to marry, but she refused a couple of suitors. She felt marriage would enslave her in domestic responsibilities. In 1853, the Crimea war broke out. This was a bloody conflict leading to many casualties on both sides. Reports of the British casualties were reported in the press; in particular, it was noted that the wounded lacked even the most basic of first aid treatment. Many soldiers were dying unnecessarily. This was a shock to the British public, as it was one of the first wars to be reported vividly in the press back home. Later in 1855, Florence Nightingale was asked (with the help of her old friend Sydney Herbert) to travel to the Crimea and organise a group of nurses. Many of the initial applicants were unsuitable, and Florence was strict in selecting and training the other nurses. Nightingale was helped in using nurses trained by Elizabeth Fry’s school of nurses. Nightingale was an admirer of Fry, who amongst other things campaigned for better prison conditions. In the beginning, the nurses were not even allowed to treat the dying men; they were only instructed to clean the hospital. But, eventually, the number of casualties became so overwhelming the doctors asked Florence and her team of nurses to help. A contemporary of Florence Nightingale was Jamaican nurse, Mary Seacole, who worked on her own initiative from a base in Balaclava near the front line. By the time she returned home, she had become a national heroine and was decorated with numerous awards including one from Queen Victoria. After the war, she didn’t appreciate the fame but continued to work for the improvement of hospital conditions, writing to influential people encouraging them to improve hygiene standards in hospitals. It was after her return from the Crimea that some of her most influential work occurred. 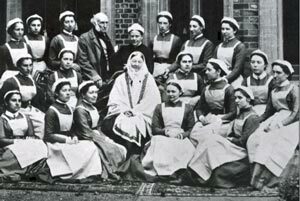 With the help of donations to the Nightingale Fund, she was able to found a training school for nurses at St Thomas’s Hospital, London. In (1859) she wrote Notes on Nursing. This became a standard reference book for those entering the nursing profession and also the general public who wished to learn basic techniques. Her writings and example were highly influential in the direction of nursing in the Nineteenth Century. She inspired nursing in the American Civil War, and in 1970 trained Linda Richards, who returned to the US where she developed the nursing profession in America. Nightingale was a pioneer in using statistical methods to quantify the effect of different practices. She also had an ability to present dense statistical data in an easy to read format. She made extensive use of pie charts and circular histograms to clarify the essential points. Ironically, she found that some of her own methods of treating soldiers decreased recovery rates. But, this scientific approach to dealing with hospital treatment helped to improve standards and the quality of care. Nightingale also wrote about the role of women in society – she called for women to be less passive and take a greater role in society. Florence Nightingale took an active interest in religious and spiritual issues. She was a member of the Church of England but took a broad ecumenical approach – believing there was truth in different Christian denominations and also Eastern religions. She also wrote on mysticism and the religious practice of seeking divinity from within. 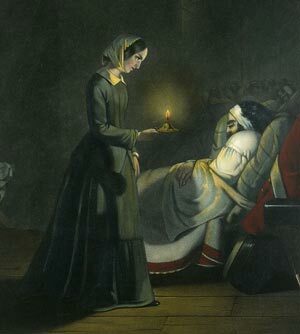 Florence Nightingale died at the age of 90 in 1910. Citation: Pettinger, Tejvan. “Biography of Florence Nightingale”, Oxford, UK. www.biographyonline.net, 25th Nov 2010. Last Updated 8th March 2018. Famous English people – Famous English men and women. From Anne Boleyn and Queen Elizabeth I to Henry VIII and Winston Churchill. Includes the great poets – William Shakespeare, William Blake and William Wordsworth. Great Briton list – Top 100 famous Britons as voted by a BBC poll. Including Winston Churchill, William Shakespeare, Thomas Cromwell and Queen Elizabeth I. Women who changed the world – Famous women who changed the world, including Sappho, Marie Curie, Queen Victoria, and Catherine the Great. Thank you for your amazing article! Do you mind giving me your name so I can give you credit for your works in my bibliography?